Today we're announcing our own Cool Components LED range, we have been working hard to get the best possible LED Strips, Bars and Matrices at some amazing prices for you. By working with some of the worlds leading LED manufacturers we've ensured the highest standards of quality, as well as keeping the majority of the new range compatible with either the NeoPixel or DotStar libraries - so you'll get them up and glowing as quickly as ever. 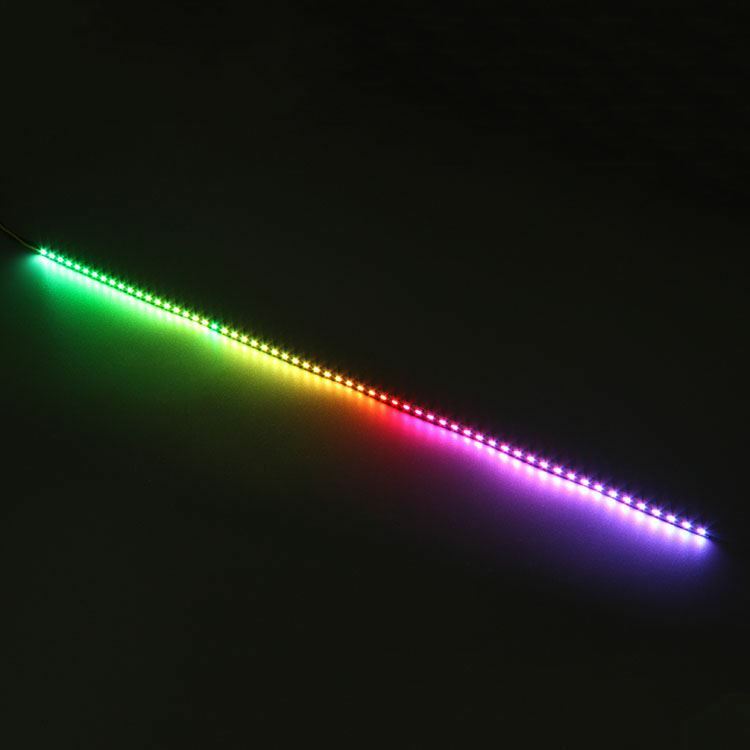 We chose to stock LED Strips that are compatible with the most common libraries, these are the DotStar and NeoPixel libraries developed by Adafruit. But which type is best for you? Well there's a couple of factors that'll determine which one you should choose and we'll try our best to outline the pros and cons of both. The NeoPixel Side Light Strips are perfect for adding vibrant, glowing light at a 90 degrees angle into your life! They're super slim and ideal for use in accent lighting, back lighting, edge lighting and much more! We've got them in 1m lengths with a range of different LED densities! There's a 60, 90 and 144 LEDs per meter versions. These are great for displaying scrolling text, animations and other lighting effects. We've got a selection of different LED Matrices in various sizes, some rigid and others flexible. The second is the 75mm Bars that come in a strings of 20 segments, each segment contains 3 RGB LEDs. These bars are perfect for mounting to walls and surfaces due to each segment having two mounting screw holes. Don't worry if you're not quite sure how to get started don't worry we'll be releasing a series of guides aimed at getting setup and started with both NeoPixel and DotStar LED products. If you've got any more questions about our LED range or anything else please don't hesitate to contact us and we'll do our best to help you as much as possible. Next article What is an Anti-Static bag, how do they work? And why are they used with sensitive electronics?